In this post, I’m going to show you how to set up a Linux host (Fedora Core 9) and use it as a BGP enabled router. In order to fully understand the setup & configuration, please have a look at this blog post first, because I’ll use the setup in that post as a foundation for this explanation. Hello, this is Quagga (version 0.99.9). First of all, we need to look at the connectivity between the Linux host and Juniper screenOS. The Linux host is not in the same IP subnet as the 2 screenOS devices, and if you look at the previous post, you can see that connectivity between the screenOS devices and the 192.168.100.0 network is handled via OSPF. This is fine, as long as you can make sure that connectivity between all hosts that need to become peers will work before you enable BGP. So you cannot rely on BGP to create routing between these hosts, because the routing needs to work before we can use BGP. On ssg5-1, we can see that the route towards 192.168.100.0 is injected via OSPF (E2), which is ok. But on ssg5-2, the route is added via BGP (iB), and this may cause problems. Think about it : If you disable BGP and reenable BGP, the route will disappear, which will make the Linux host unreachable for ssg5-2, so it will not be able to reach the host again in order to become peers. So on ssg5-2, we need to add a static route to 192.168.100.0/24, and on the Linux host, we also need to set up some routing. This will ensure that, even if BGP is down, the static route will ensure that ssg5-2 can reach the 192.168.100.0/24 network. So while the active route is the one that is distributed via BGP, the static route will take over the moment BGP goes away, ensuring connectivity at all times. PING 192.168.0.8 (192.168.0.8) 56(84) bytes of data. PING 192.168.0.30 (192.168.0.30) 56(84) bytes of data. Now start the bgp daemon, so we can connect to it and set up the configuration. In order to make sure the daemon will start when the system boots, use the ‘chkconfig bgpd on’ command. As you can see, despite the fact that the linux host and ssg5-1 are not directly connected, the routes table still looks fine. Network 192.168.1.0/24, which is a connected network behind ssg5-1, shows up in the routing table as reachable via 192.168.0.8, but recursive via 192.168.100.2 – BGP has ensured that the path towards the 192.168.1.0/24 network works and figured out the next hop itself. Ok, so the routing tables on ssg5-1, ssg5-2 and router-3 are correct. But if you try to route from ssg5-1 towards 192.168.3.8, it doesn’t seem to work ! 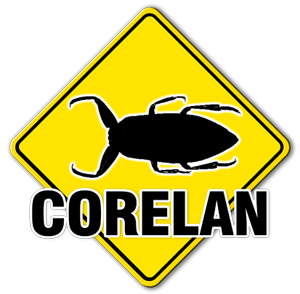 © 2008, Corelan Team (corelanc0d3r). All rights reserved.